By using the Box feature, Handy Backup allows a direct access to data stored in a Box cloud account. 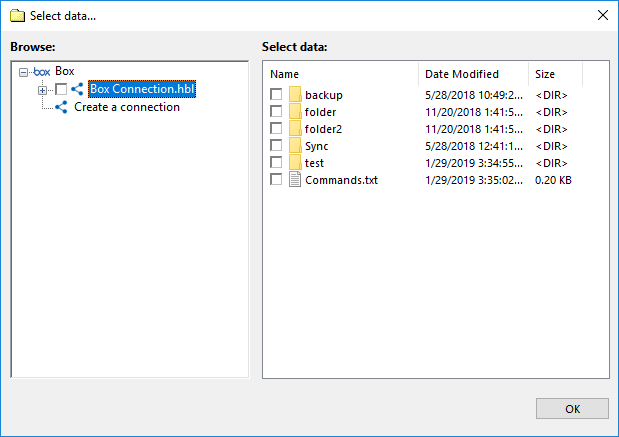 You can use this option as either a data source for backups or a storage media. Create a new task and choose the backup task type. On a Step 2, select the “Box” data source in the Other group on the left panel. A new window will appear. 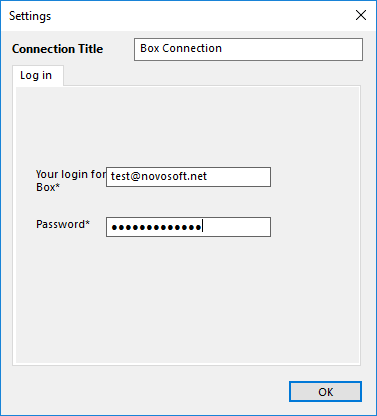 Choose a “Create a connection……” option to open a Box account dialog. Note: You can create a new Box account at this step, by clicking on the appropriate button in this dialog. You will see the account name you entered in the Box feature window. Click twice on it. Press “OK” to return to the data selection step. Continue to make a new task as usual. The overall sequence of actions is quite same as for backing up from a Box account, although you must specify a Box feature as the data destination on the Step 3. All other actions (new configuration, selecting an account) are unchanged from a previous instruction. You can even copy one Box account content to another, by using the Box feature with different accounts specified on both Step 2 and Step 3. 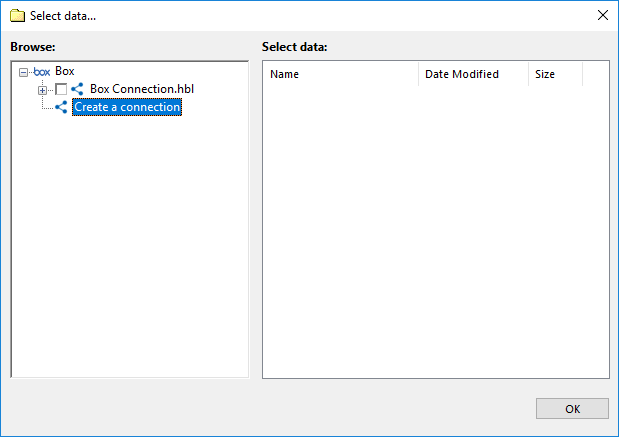 To access a Box account, you can use a WebDAV feature, but this way, as any other “generic” approach, is somewhat slower and more difficult to configure an access properly than a specialized Box feature. We are recommending using always a dedicated Box option to access your Box accounts.